The deer park at Dunham Massey holds some beautiful parenthood memories for me. The park was the inspiration behind my award-winning blog post a couple of years ago. It was where J first toddled across a fallen tree trunk and where he honed his skills on a balance bike. It is where he has fed ducks on the lake, spotted bunny rabbits in the undergrowth and come within inches of touching wild deer. Little wonder then that we keep going back to Dunham Massey to seek more adventure and add to our pool of family memories. So it was this weekend that we were back in this beautiful National Trust property in Cheshire. J being a creature of habit, feeding the ducks took priority over all else. That done, we went to explore the old water mill on the grounds. It was interesting to read its history and see it still working. 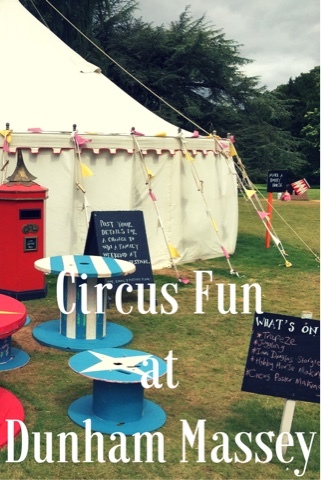 A quick ice cream stop and we were in the gardens – the scene for all the circus-themed activities at Dunham this summer. 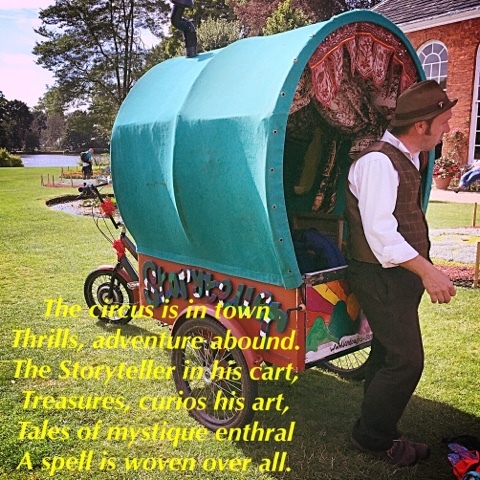 There were jugglers and story-tellers. There were props where you could pretend to walk a tight-rope, be a human cannonball or a knife-thrower. Then there were the more hands-on experiences of stilt walking, trapeze acrobatics, juggling and hula hooping. It was astonishing to see the enthusiasm with which my son tried to master the hula hoop. He wasn’t very successful, but it filled my heart with joy to see him wriggling his hips in the hoop. As for stilt-walking, it was done very well, albeit with some help from the parents. Is there room on this broom for a brave Knight like me? After all the excitement of the circus, we just about managed to find time to visit the House. It was our first time visiting it. J had the most incredible time doing the treasure hunt where he had to spot objects dotted around the house. From paintings to a piano and pieces of the family silver, he managed to find them all but one. His reward was a cute little sticker from the maid of the house – a lovely lady in Victorian costume who kept addressing J as, “Sir.” Left him a little confused and full of questions. 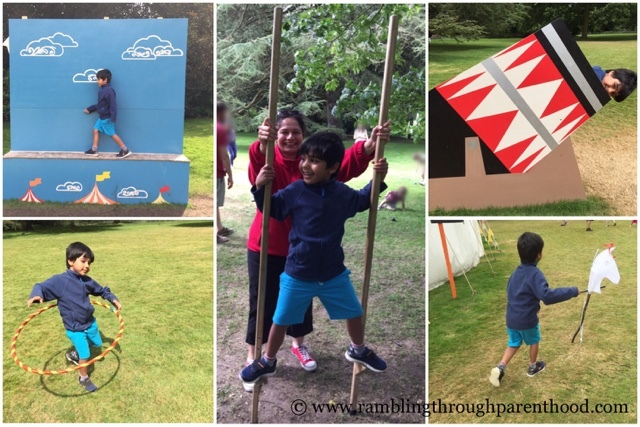 We had a relaxing afternoon at Dunham Massey, basking in the glorious sunshine, eating a picnic, learning a little history and getting active with all the fun circus activities. 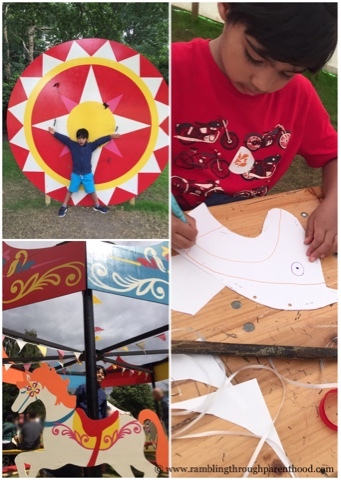 The circus trail continues at Dunham through the summer. So if you want something to do with the kids, why not plan a visit? And do let me know if you spot some of the beautiful deer that are frequent visitors to the grounds. Disclosure: We were given free entry to the grounds and property at Dunham Massey in exchange for this review. All opinions are my own.